The Lubbock (Texas) Police Department recently launched a Crisis Intervention Team consisting of officers who are all state-certified mental health peace officers. The team includes two full-time officers and 30 to 40 others who have received the certified training and can respond as needed. The trained officers know how to identify mental health conditions, how to respond to situations involving mental illness and de-escalate as needed, and will refer people in mental health crises to needed services. In collaboration with Boise State University, some 50 civilian staff members and officers from the Boise Police Department will take a free 10-week Spanish course to improve outreach to the local Hispanic population. The department's Hispanic community liaison said the goal is to reduce use of a translation service in favor of officers with language skills. At Prince George's Community College in Maryland, a training team is using improv to teach members of the county's police department strategies for better handling calls involving individuals with disabilities. A new Maryland law requires officers to be trained in this area, and the Prince George's program features improv and includes individuals with disabilities on the training team. School resource officers stationed at middle schools in Lincoln, Neb., recently participated in a local training program to help them distinguish between dangerous behavior and signs of mental illness. The first-ever training partnered police officers, school administrators and mental health care experts, and a had goal of teaching officers about how these types of behaviors in children differ from the way that adults would behave. A community group in Lawrence County, W.Va., recently donated 55 personal first-aid kits to the local sheriff's office. The kits, worn on an officer's utility belt, contain protective gloves, tourniquets and blood-clotting agents, and can be used to stop bleeding until an EMS crew arrives at an incident scene. Crime Stoppers Houston and the Houston Health Department recently began holding training sessions for the Houston-Harris County Peacekeepers Movement, which teaches both citizens and law enforcement officers about how to act during traffic stops, individual rights and responsibilities, and how to submit a compliment or complaint. The program's goal is for those who take the training to become trainers themselves, passing the knowledge on to other officers and community members. Will Portland's New Unarmed Officers Fix Police Bureau Woes? The city of Portland, Ore., will hire 12 Public Safety Support Specialists starting in January to respond to low-level, non-emergency crimes. The PS3s will carry only pepper spray and will help with property damage automobile accidents, assist in looking for missing persons and attend community meetings, among other activities. Thanks to a joint effort by Hope for Prisoners, the Nevada Department of Corrections and 90.5 FM SOS Radio, 50 prisoners from Casa Grande Traditional Housing in the southwest Las Vegas Valley got a chance to spend "Christmas" with their families in a simulated living room setting  complete with a tree  at the nearby Crossing Church. Started by an ex-inmate, the project has a goal of strengthening family ties to help prevent recidivism. A proposed algorithm to predict recidivism based on a person's age, gender, prior convictions and other pieces of criminal history is drawing criticism. Pennsylvania legislation to implement such an algorithm was enacted nearly 10 years ago, but in spite of numerous tweaks, the commonwealth has yet to actually begin using the tool. Protestors are calling for a rollback of the legislation. A recently released Cornell University study shows that almost half of all American adults have seen a family member imprisoned for at least one night; one in seven have had a relative jailed for a year; and one in 34, for at least 10 years. Among minorities and low-income individuals, the proportions are higher. In Charlotte, a man has been charged with two counts of armed robbery, two counts of conspiracy to commit armed robbery, felony breaking and entering, kidnapping and four counts of false imprisonment in conjunction with two recent incidents. He was wearing an electronic monitoring device, which placed him in the vicinity of both. In 2011, the South Dakota Department of Corrections began notifying citizens about the pending release of any prisoner deemed high-risk to commit another crime. The review process was spurred by the murder of a woman by a prisoner who had just been released two days prior; the state has since termed 10 inmates to be high risk and one to be high profile. In Pima County, Ariz., the county attorney's office will use nearly $3 million in federal grant money to start a misdemeanor problem-solving court to provide mental health and substance use treatment, and additional services to high-risk/high-need defendants. The program will also provide housing and transportation assistance, help in finding employment or enrolling for government benefits, court supervision, peer mentoring and other evidence-based interventions. The State Knew He'd Turn Violent Without Meds. So Did He. But Was Anybody Checking? This article takes an in-depth look at the circumstances involving one paroled individual who became violent when he failed to take his medication, using it to highlight some of the weak spots in Idaho's provision of mental health services for current and former inmates. In Ohio, the number of cellphones confiscated inside correctional institutions has nearly doubled since 2013, records show, and the amount of other contraband, such as drugs and alcohol, continues to go up as well. This article takes an in-depth look at ways that inmates set out to beat the system, methods of interdiction and the damage that cellphones can cause. Artificial intelligence applications can be found in many aspects of our lives, and even public safety and criminal justice benefit from AI. For example, traffic safety systems identify violations and enforce the rules of the road, and crime forecasts allow for more efficient allocation of policing resources. AI is also helping to identify the potential for an individual under criminal justice supervision to reoffend. Research supported by NIJ is helping to lead the way in applying AI to address criminal justice needs, such as identifying individuals and their actions in videos relating to criminal activity or public safety, DNA analysis, gunshot detection and crime forecasting. 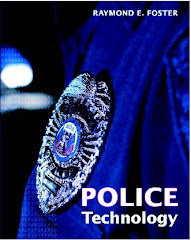 Read a new NIJ Journal article on the subject at https://www.nij.gov/journals/280/Pages/using-artificial-intelligence-to-address-criminal-justice-needs.aspx. The unsealing of an indictment charging Zhu Hua (朱华), aka Afwar, aka CVNX, aka Alayos, aka Godkiller; and Zhang Shilong (张士龙), aka Baobeilong, aka Zhang Jianguo, aka Atreexp, both nationals of the People’s Republic of China (China), with conspiracy to commit computer intrusions, conspiracy to commit wire fraud, and aggravated identity theft was announced today.